I am going to take you through the process of what it takes to earn a living selling music online. Yes, I did say earn a living. It should not come as a shock to you, that there are millions of people that are earning a living just by sitting in front of the computer. Their hours are flexible, their overheads are low and they are their own bosses. The truth is that you can become one of these millions if you really desire it. As I said before, more than an internet connection, it’s the drive or ambition within that ultimately determines how bad you want this type of lifestyle. Allow me today, to explain what is needed of you to go about starting an online business by selling music. At the end of this article, you might be in a better position, to tell me if this is for you or not. 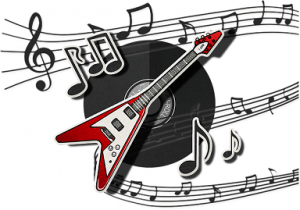 Why Choose Selling Music Online As a Niche? What are some of the reasons why selling music online, can be a profitable business? 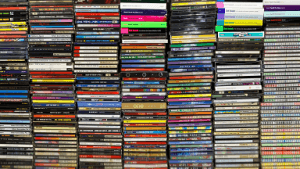 CD’s still sell– If you look at it, why on earth are physical music shops open. 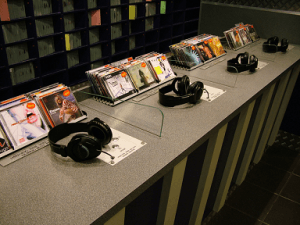 People still love to buy Compact Discs. Cd prices are lower these days. Especially the older ones. Trust me in some cases, you can find some gems and at a fraction of what it originally was worth. This allows you to build up an awesome collection. Old School Listeners– I personally prefer to slot a CD into my car radio or into my home theatre system as opposed to playing via USB or downloads. Besides, the quality is far better. Full Deal– When you buy the CD, you getting the lyrics and artwork, basically the full package. When people have something tangible, they tend to value it more.Though iTunes, for instance, has “digital booklets” for some album downloads, they are not always user-friendly. 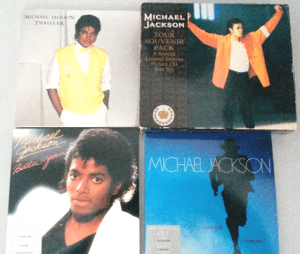 Collectibility – I personally own some rare “souvenir,” and “limited cd’s,” of Michael Jackson. You can be sure that these hold value as time goes by. Not all music is easily available as downloads. A Tiny portion of My Michael Jackson Collection. Vinyl Market – Besides the CD sales, people are going back to purchasing those nostalgic, LP’S. (this gives you another area to target). types of LP players that are out there. Relax, take a deep breath, and chill. If it was that tough, I would not have taken the time to write this article for you. Are You Ready To Hear Some Good News? Firstly you don’t need a warehouse because you are not going to stock a single product. What!! !But how do I sell, if I don’t have any stock? How?Is Amazon NOT your competitor? Now, I am confused. How will they pay me? You will become an affiliate for them. You will create your own website. You will then review the music or music products on your website. Then you will direct people from your site, via your affiliate link to Amazon. you GET a lovely commission. **Note. There are tons and tons of affiliate programs out there such as eBay, Commission Junction, Linkshare, Shareasale etc. I used Amazon just to illustrate my point. You can choose whomever you are comfortable with. 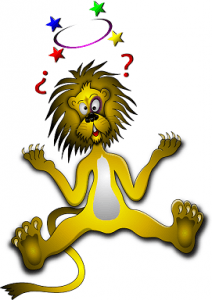 How Easy Is It To Set Up A Website Of Your Own? So let’s get started up with a domain name for you. Look for now get a sub-domain name, its FREE. Then later on you can buy your own domain name.Fill a name that you would like for your website in the block below, and see whether it is available. Once you’ve created your account, then you can continue to build your website.Follow the step-by-step training and lessons at this platform, and you will find that the process is not rocket science, as what you might have imagined. What Is It That Will Make You Stand Out? This has got to be the question on your mind from the very onset. Though selling music online can be a good business, it is very competitive. So, how is it that you can be different, so that visitors will visit your site, and you can get your sales? Write Reviews– Be thorough, though people will read reviews on Amazon, make your ones different. Add more detail, research the artist of the Cd. Talk about any collaboration work done on the Cd with other artists. Maybe add interesting facts about the cover or artwork of the disc. What was the inspiration behind the work? Has the artist won any awards in the past? Are there any limited edition releases? (This is for those serious collectors). Then you can give your personal verdict on the product. Basically, the idea is to give them more information so that it will be easier to make a decision. Engaging and Quality Content -For a website to get site trust and loved by Google, you should get into the habit of adding quality content. You can write topics on related music news, upcoming cd releases, talk about the different types of LP players available, make a comparison of CD versus digital downloads. Basically, make your site more than just selling but giving information and helping visitors learn more. By helping them, you gain their trust, then they will buy from you. This is how you become an authority in your niche. What I am talking about here my friends, is SEO(Search Engine Optimization). The process of getting your site ranked on page one of Google so that you can get traffic and ultimately sales. Besides the two tips above, you will need to do a keyword research of the competitors, SERP analysis, proper placement of images within your text, make your content sufficiently long and if possible add videos to your text. But, Roopesh, how will I learn all of this? Remember earlier on I told you that I am a member of an awesome online community. You probably signed up a FREE account with them as well, when you got your domain name. This is the Wealthy Affiliate community. This is where you will get all the training, support and help you will ever need to start up your online business by selling music. You already got a domain name. That was easy right? Now you head over to the Getting Started section and start the Entrepreneurship Course. 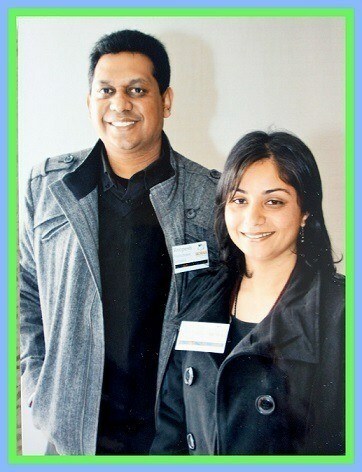 Its a step by step course with 10 lessons to building a successful business. Might I remind you again, its FREE!! As I said, besides the community, I am in there as well. So I will hook up with you. Things may be overwhelming at first, but take it one step at a time. There are forums and live chats and other ways you can get help here. 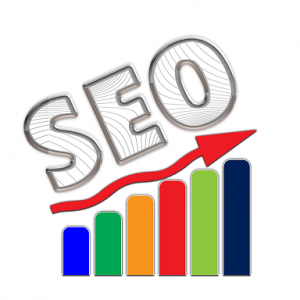 You will not be stuck at all and you will learn everything there is, about SEO and lots and lots of other information. Now if I have to ask you this question again, how do you go about making money selling music online? I am sure that you will be able to answer it a lot better, than when you first started reading this article. Yes, some aspects may sound foreign and challenging at first. But like anything new, it takes some time and familiarity to getting used to. Look at it this way, you have already sought to find a way of earning a living via the internet world. This a big step already.Your mind is set to going this route. The internet is only getting bigger and better, and people are joining it by the billions. This spells out “opportunity” for you. You’ve got an idea, a domain name, a website, a way to learn and understand the process and apply the teaching material. The only piece that is missing is …………YOU. Building a business like this will take time and patience, but at the end of the day, its an honest and rewarding avenue to go into. Thanks for your time. You have been a star. I hope that this article has helped you. If you have any questions or comments, please do use the comments box below or the contact me page. Cheers to your online music business, may it grow from strength to strength. That’s a wonderful step by step article of how to turn a passion into a niche and how to go about that. That’s so articulate and it is of great use. When you say I can sell as an affiliate marketer in Amazon, does the commission vary for the type of product or it is constant in all of them? Yes. depending on a number of factors the commission will vary. Initially it is around 4.00%. Thereafter if you increase your referral rate by adding more items, it jumps up to 6.00%. I have always had a passion for music, I played the piano for years but sadly stopped now I just listen to the music but this is a great article on how to turn ones passion into a niche and profit from it. As they say, do something you love and you’ll never work a day in your life which is very true! One question though, you say about doing it through affiliate marketing, what if said person wanted to use their own music would it be the same concept? I hear you. I love music too. It’s great to hear that you play piano. It just reminded me. I have a guitar and it has collected dust for ages. I think I am going to start to go for guitar lessons.It will be slow, but its a start. Great question. I recommend affiliate marketing, because I find that it is an easy route to go through as you would not have to stock any of your own products. You simply earn a commission on what you promote. If you want to do it via your own music, that will work out fine as well. You build a website around your own products, give quality content and engage with the customers. You should do equally well. The main point is to get you onto building your own business,so that it can last for generations to come. Thanks for the insight into the workings of the music industry. This is very interesting to see. I hope that things will pick up for the better. At time goes by, we have to change our thinking and be at the forefront and deliver to the customers what they want and need. If we are able to make them happy, then it will be great for our business. I really like how you started out with a certain niche and then went into affiliate marketing from there. I think this makes the article more interesting and unique than just starting with affiliate marketing. If you recommend a song on Amazon, do you still get commission for digital downloads? I’m guessing it wouldn’t be much but just curious. I actually miss getting CD’s because then when my computer crashes, I don’t have to panic about losing my library (just happened this week.) But I also have thousands of songs, so that would be a lot of space. I guess it is a toss up. As long as you have an affiliate link to these downloads, then you can earn a commission once a customer makes a purchase. I don’t think it will be much too, but if you get more each day, then they can add up to be a substantial amount. I try to keep my prized music in the form of hard copy disc. And locked in a safe place. Wow, love how you explain that it is possible to sell music online and make even make a living at it! You say exactly how it is possible by joining Amazon as an affiliate and having a website to promote the music products. Next you link it all the Wealthy Affiliate where you can learn all the steps needed to become an Affiliate Marketer. Excellent stuff here and a great website! Thanks for the complement. Glad that you enjoyed the read. Keep visiting, there is still so much more to come. This is a great idea to write about music you love online and get affiliate commissions for it. I never thought of that niche in particular but as a music lover it’s a great way to earn some money talking about what you love. I think there are many people that can benefit from this information and the programs you mentioned. I think this very same method can used to make money using just abou any niche. I chose music as a topic to show that these things can be done.Its about working step by step and following the lessons and you certainly can not go wrong. Most importantly give it your fair share of hard and time. 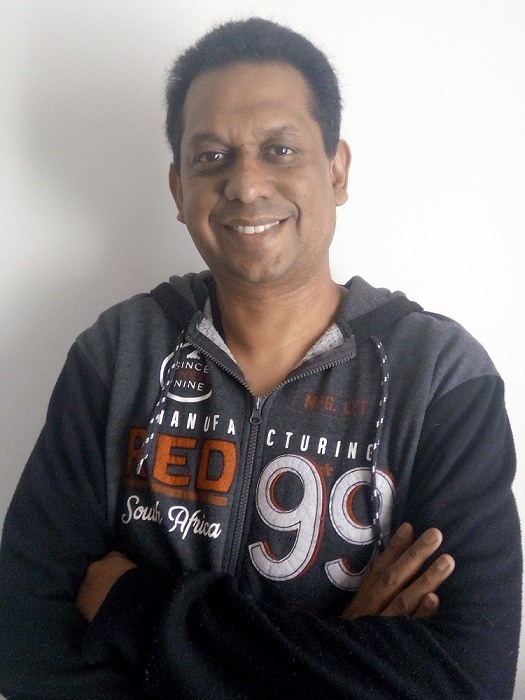 Hi Roopesh, Having a graduate level Masters’ degree in music myself, I can safely say that a century from now Music without question will still be around and quite popular; although by the year 2118 I can’t predict in what form people will be listening to it. As for myself and partly because of my training I still listen to orchestral music from the all-time great composers. In fact while reading your article, on my computer I’m now listening to Tchaikovsky’s 4th symphony on my headphones. It is also quite true that with a bit of creativity and thought put into it by an individual, he/she can indeed make money in an online business selling music. There are people in the world who aren’t stifled simply by listening to music of today. Orchestral music from the 18th and 19th centuries, Big-band music from the 1930s and 40s, Do-Wop music which led to rock and roll of the mid/late 1950s which morphed into the British invasion led by the Beatles , Rolling Stones and so on still have their fans who not only listen to those genres of music, but also collect records and CD’s. I agree there is no comparison to owning records and CD’s versus having music downloaded from the Internet. The former is much better. Finally in addition, some of the things that you suggested as a way to create followers should a person pursue the goal of making online money through a music business, particularly writing reviews of artists will only serve to allow that individual to make a name for him/herself. And with the build-up of a following, more people will soon make purchases of music promoted by the individual who runs the business. Thank for such an awesome comment. I have a condition called tinnitus, its a continuous ringing in the ears, and it can be quite bothersome at times. Anyway, now that you mentioned classical music, I read up somewhere that it can actually help to alleviate or provide some relief for my tinnitus. So, I am going to give it a go! The amazing part is that one may feel that it is not feasible to start a niche website based on music. Yet, going online, opens up so much possibilities and offers a far better reach than a traditional ‘brick and mortar’ enterprise. There are close to 4 billion people searching and buying online on a daily basis! In other words, anyone can have a great really great opportunity of building a successful online business. You just need the right platform to teach you the way to do it.